Whether you’re hitting the gym or out and about, look the part this winter season with our Slouch Beanie. 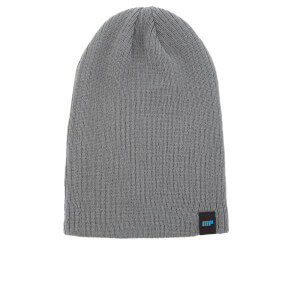 The beanie features a ribbed knit design with a relaxed slouchy fit for everyday warmth and comfort, whatever the weather. Nice comfortable stylish hat for the upcoming winter months. Cheap material. Pathetic elasticity. Ridiculous sizing. Bin bag would fit better and with more style.Go elsewhere.